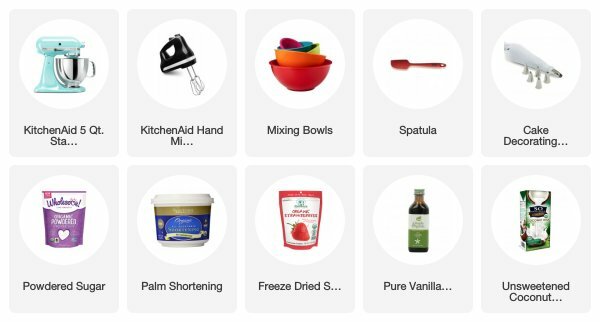 There’s thousands of frosting recipes online today, some traditional, some unconventional, and some that require too much work. 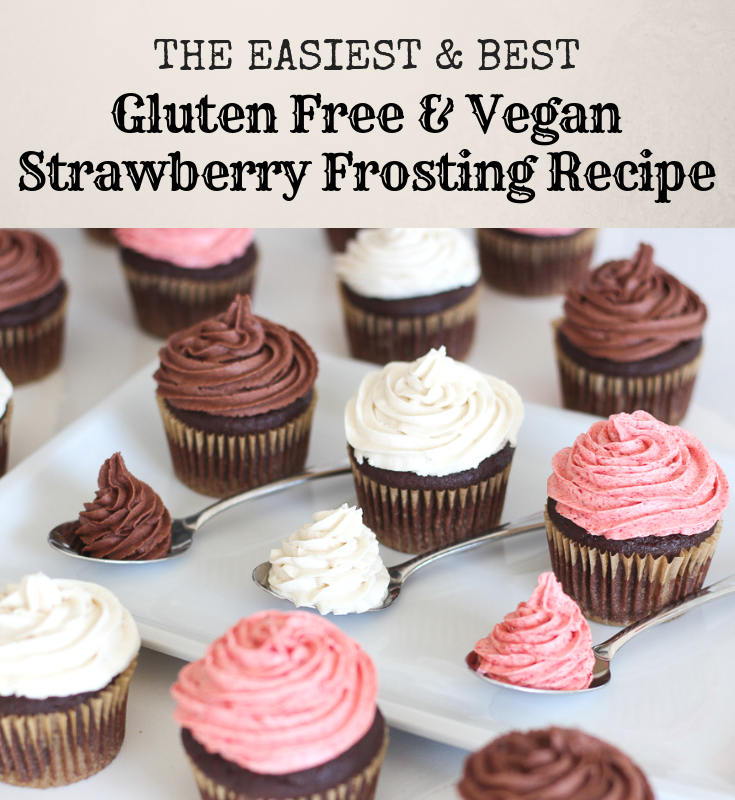 But, if you’re looking for the BEST Gluten Free & Vegan Strawberry Frosting Recipe thats All Natural, Easy & Delicious, then look no further. 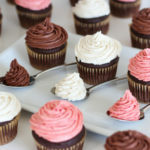 I feel like every other frosting recipe I’ve tried, has always been too small or large for what I need, so this recipe has been scaled to perfectly frost 12 cupcakes or standard 2 layer cake… But, feel free to adjust the recipe based on the amount you need. Looking for The Best Gluten Free & Vegan Strawberry Frosting Recipe that holds its shape and tastes amazing? This is it! 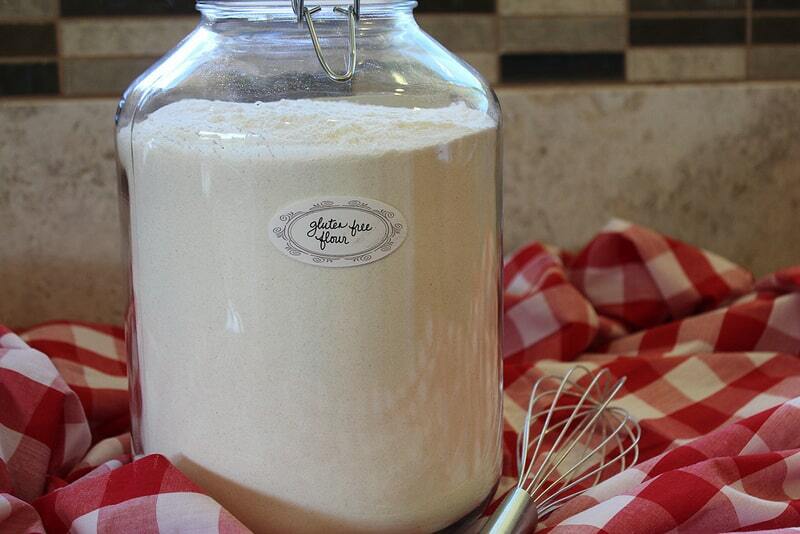 All Natural, Super Easy & Perfect for Cakes, Cupcakes & licking off the beaters! 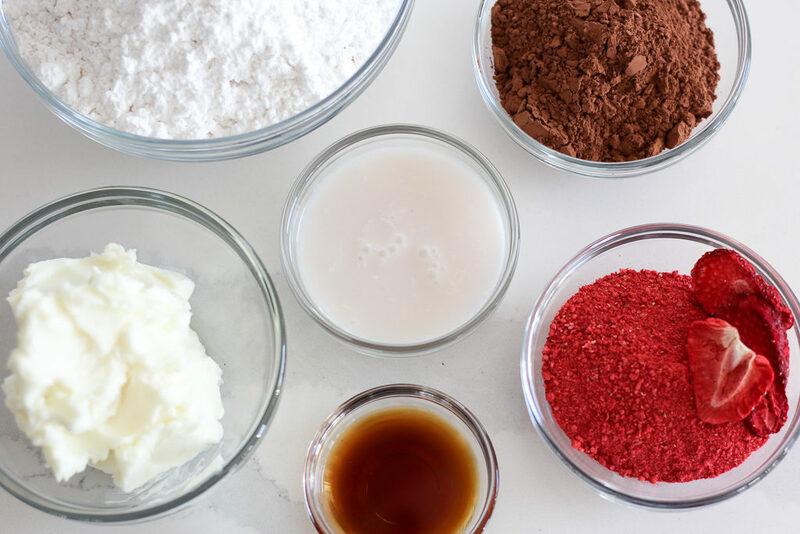 In medium sized bowl (or in the bowl of your stand mixer), add all of the ingredients in the order listed and beat gradually from low to high until all ingredients are smooth and fluffy frosting is formed – This can take 1-2 minutes. 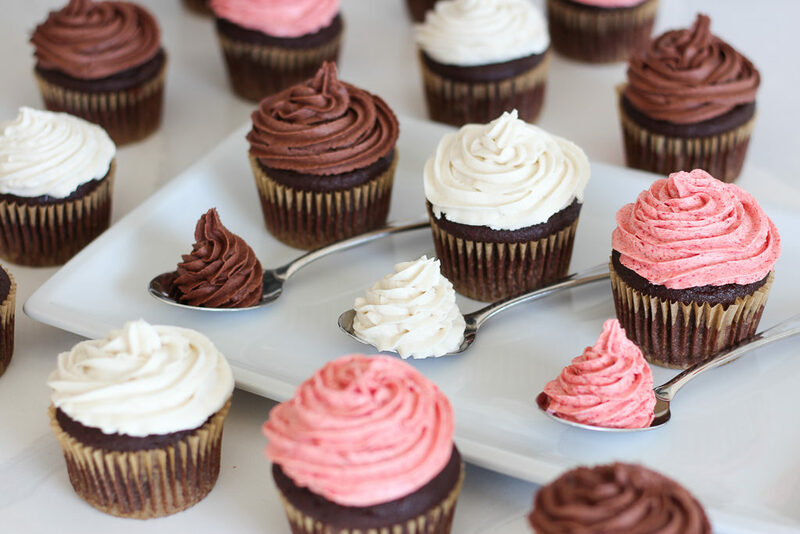 Use a spatula to scoop the frosting into your piping bag & decorate cake/cupcakes as desired. Be sure your cake/cupcakes are completely cooled before frosting. Tips for achieving just the right consistency: Be sure to beat in the Milk Alternative One Tablespoon at a time to avoid a soft or runny frosting. 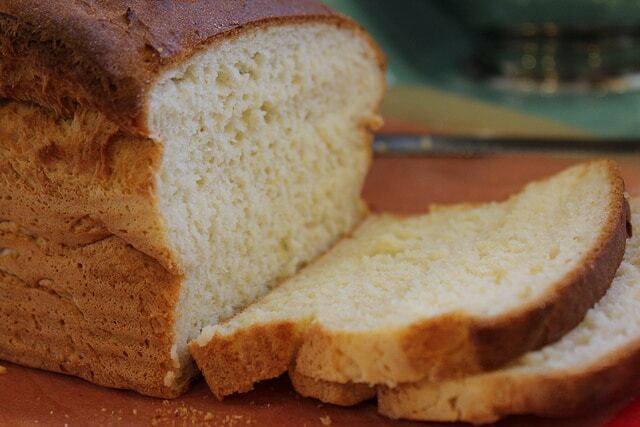 If you accidentally add in too much, the frosting won’t hold its shape well. 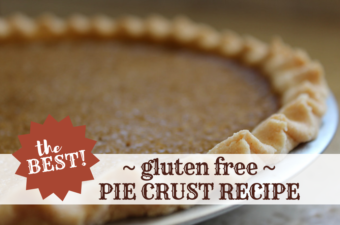 You can fix this by adding in a bit more powdered sugar. If your powdered sugar has become lumpy or hard, I highly recommend sifting it before adding in the other ingredients.